I used this sun screen on a two week trip to Hawaii in June. I spent every day at the beach or pool getting in and out of the water and never burned. I have very fair skin and live in the northwest where my skin gets very little or no sun exposure so I was impressed that I didn't get a sunburn. I put it on in the morning and seldom reapplied and it worked all day. I used other sunscreens on my body and I did a sunburn on my knees and shoulders. This is excellent sunscreen! I have very oily skin and this sunscreen is the best for it. I use it as a primer under my makeup as it helps fill in pores and smooth skin. I love this sunscreen in the summer. The matte texture makes it perfect when the days are hot and sticky - it doesn't feel as if it's sliding off your face and gives you great coverage. Bought this by mistake and I'm so glad I did!! Absolutely love it - the feel, the texture, the matte look - fantastic! Have tried many others and this one is, by far, the best out there. I have purchased this product a few times. Love the feel on my face and absorbs really quickly. It does cover some dark spots. 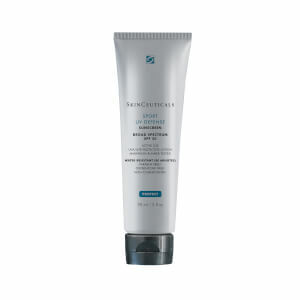 If you're looking for a simple, tinted, high SPF facial sunscreen with a matte finish, this would be a good choice. It's devoid of antioxidants and such, but the same goes for fragrances and irritants. It's straightforward which, for me, is just fine in a sunscreen. I've been searching & found it! This is by far the best sunscreen I found for my combo skin. Love the matte finish & the greaseless feel while obtaining good protection. Love! I received a sample of the matte defense with an order and loved it! 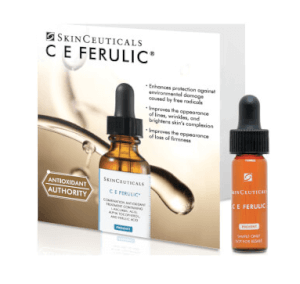 It doesn't make my face ghost white like other SPF products and it's awesome at controlling oil. I love that it helps with large pores as well. If you have dry skin I would suggest applying moisturizer before you put this on. I absolutely love this sunscreen!! 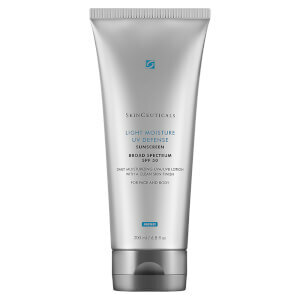 I have been using SkinCeuticals Physical UV Defense SPF 50 for 5 years and I thought nothing could replace it but this does. The matte finish is lovely and makes your skin look flawless. I hate sunscreen. It either makes me look white or shiny and I and mixed race with tan skin. After years of going in the sun without any sunscreen, at the age of 47, I started developing sunspots. Sunscreen is a MUST now and this is the first one with a tint that blends into my skin and there's no shine it all. I wear it over my moisturizer and under my foundation and it all goes together quite well. Very pleased!